Thiru S. Ganesh I.A.S., District Collector and District Magistrate is an officer of Indian Administrative Service belonging to batch of 2009. He has completed M.Sc(Agri) degree at Agriculture College and research Institute in Coimbatore and MBA in Bharathidasan University . As a group I Tamilnadu civil service officer has worked in various capacities like RDO in Cheranmadevi and Kulithalai, and as DRO Worked as GM in Thadco and Tsunami Rehabilitation in Cuddalore District, as a special officer in Tirupattur Cooperative sugar mill.And as District Revenue Officer /Additional District Magistrate in Dharmapuri and Erode districts. 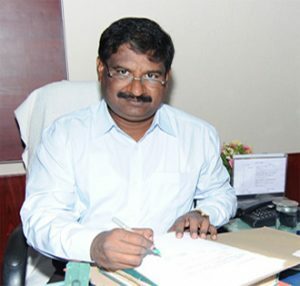 After inducted into IAS service in 2009, He has worked as Joint Managing Director (TWAD Board) and as Corporation Commissioner in Coimbatore and now as District Collector in Pudukkottai District.